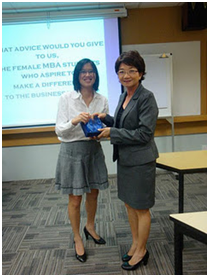 Last September, The NANYANG MBA Women in Business (WIB) club was launched at the Nanyang Business School’s One-North campus in Buona Vista, located near the town area. Twenty (20) women – MBA students and friends, attended the inauguration of this first women-centric club with the theme centered on ‘Carpe Diem’, a popular Latin phrase translated as ‘to seize the day’. Being the founding members, we were extremely privileged to have the support of not just the school, but also our networks. 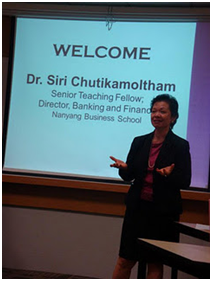 Dr Siri Chutikamoltham, Senior Teaching Fellow and Director for Banking and Finance of Nanyang Business School, gave us the honor of giving the welcome speech. Our keynote speakers were corporate executives: Ms Cheong Pik May, Group Director of Integrated Healthcare Information Systems, and Mr. Soon Loo, CEO and President for Elevation Group and Director for Indiabulls Property Management Trustee Pte Ltd (IPIT). As the event progressed, the speakers made it clear that a support system would be vital. As Dr Siri put it very aptly, the WIB club is a forum for sharing and support. Girlfriends can always be relied on. Pik May recommended having a good team throughout one’s career. She continued to propose the importance of family and marriage. In fact, marriage can be a source of stability for one working in a competitive working environment. Pik May made a clear distinction between balancing both roles equally and juggling these roles and responsibilities. Many mistook a work-life balance as an equilibrium in which both aspects are in equal proportions. However, it is really a juggling act where neither aspect should be allowed to fall through. The event concluded with a toast in the splendor of “Yum Seng” (a Chinese tradition of toasting). New friendships were formed. Contacts were exchanged. Most importantly, everyone went home, with something close to their heart to muse. 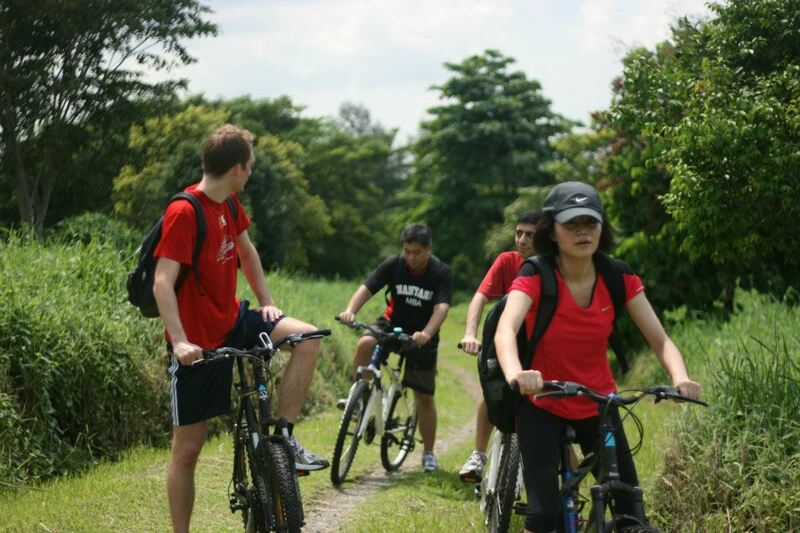 Diversity is key to create a great and memorable experience and we are fortunate that The NANYANG MBA fosters this and strive to have such for its students – we have 18 nationalities in our cohort! This diversity in nationalities gives us the opportunity to learn about other people’s culture without having to go that far. 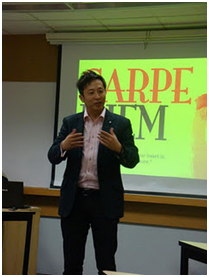 And we did – right here in Singapore! 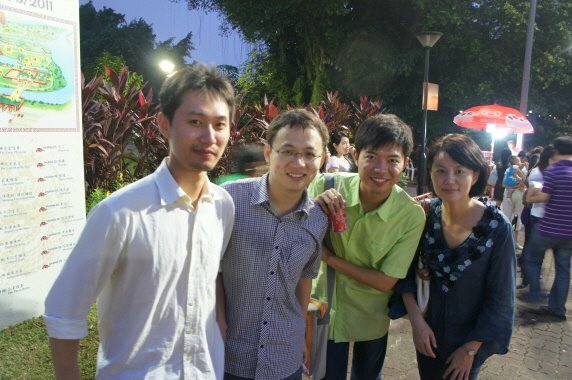 The 2011 Student Executive Committee (Ex-Co) kick-started this year’s events for current students with the celebration of the ‘Mooncake Festival’ in September, also known as the ‘Mid-Autumn’ or ‘Moon Festival’ at the Chinese Gardens. 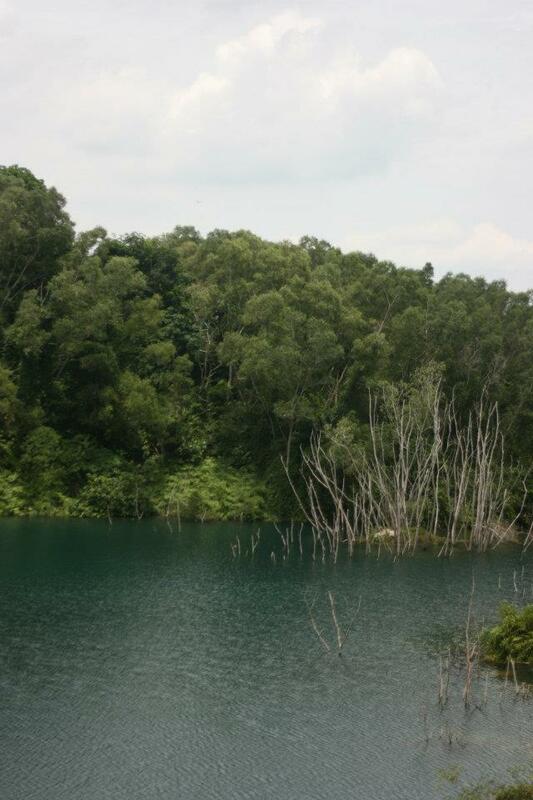 The Chinese Gardens, also known as Jurong Gardens, is one of Singapore’s nature parks and is built over 8 hectares in 1975 under the guidance of a well-known architect from Taiwan. Twenty (20) of us, current MBA students, with our families and friends, walked through the gardens and were greeted by northern Chinese imperial style of architecture and landscaping. The place awed us with its colorful lanterns tied to ancient legends dotting the lake and the grounds and Chinese customs of the festival. Mooncake or Moon Festival is a popular lunar harvest festival celebrated by the Chinese community all around the world. It falls on the 15th of the 8th month of the lunar calendar and it is one of the most important traditional events for the Chinese and even Vietnamese, just like Christmas and Thanksgiving for Westerners. There are many legends and folklore surrounding the festival from the Moon Goddess of Immortality to the overthrowing of Mongol Rule and to the Vietnamese legend of a wife who accidentally desecrated a sacred banyan tree and was transported to the heavens by the tree for doing so (the Vietnamese light lanterns to show her way down to earth)*. But it is also a favorable time to have a get together and enjoy one another’s company, eating mooncakes under a full moon (for us, we did at the Chinese Garden!). Of course, apart from the delicious mooncakes some of us brought, we were also delighted by mooncakes shared by gracious celebrants who were there to enjoy and celebrate the festivities. Some of our classmates from China (from left to right) – Zeng Cheng, Tan Yanning, Lu Zhongjie, and Wang Jie who were gracious to share with us their knowledge about the festival.